The Door County Maritime Museum celebrates 50 years of service to the community in 2019. Opening Monday, February 4, 2019, “The Water Defines Us: DCMM@50” is a new exhibit at the Door County Maritime Museum in Sturgeon Bay that celebrates the half-century of maritime preservation and education that the people of Door County have made possible. The exhibit traces the journey of the museum from its early roots in northern Door County, as a small group of dedicated men and women pursued a simple vision to commemorate the maritime and fishing culture of the area. The museum – and the vision of its leaders – continued to grow to eventually encompass two museum locations, the Cana Island lighthouse and the restoration of the Tug John Purves. Often hidden behind the scenes, “The Water Defines Us: DCMM@50” offers a look into the fifty years of trials and triumphs that ultimately built one of the largest and most expansive museums on the Great Lakes. As one of northeast Wisconsin’s top tourism destinations, attracting more than 65,000 visitors annually, the Door County Maritime Museum serves as a resource for all 72 counties in Wisconsin. This exhibit is the opening event for an entire year of Door County Maritime Museum celebrations that include the 100th anniversary of the Tug John Purves and the 150th anniversary of the Cana Island Lighthouse. 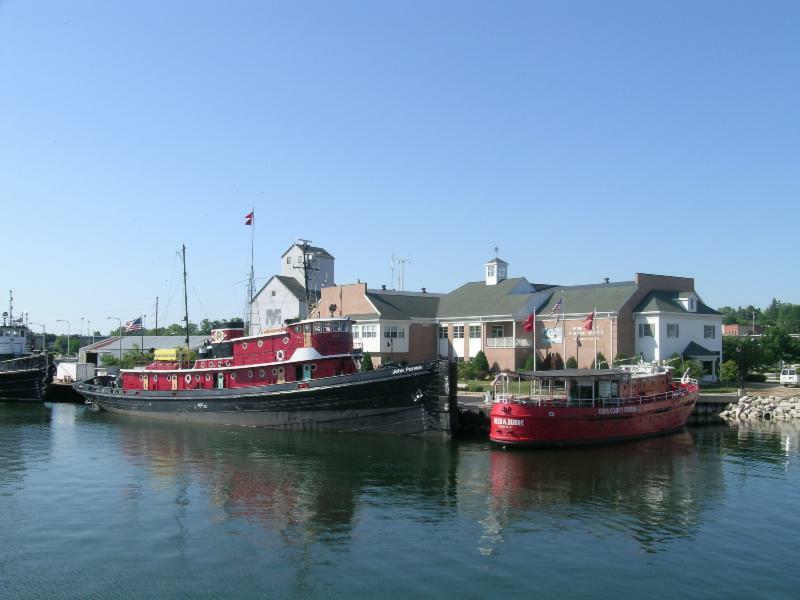 For five decades, the Door County Maritime Museum has educated and entertained the public while working to preserve and celebrate the rich maritime history of Door County and the Great Lakes. The Door County Maritime Museum is located along Sturgeon Bay’s west side waterfront at 120 North Madison Avenue. The Door County Maritime Museum is open seven days a week, 10am-4pm.